This book deals with expert evaluation models in the form of semantic spaces with completeness and orthogonality properties (complete orthogonal semantic spaces). Theoretical and practical studies of some researchers have shown that these spaces describe expert evaluations most adequately, and as a result they were often included in more sophisticated models of intellectual systems for decision making and data analysis. Methods for constructing expert evaluation models of characteristics, comparative analysis of these models, studies of structural composition of their sets and constructing of generalized models are described. Models to obtain rating points for objects and groups of objects with qualitative and quantitative characteristics are presented. A number of regression models combining elements of classical and fuzzy regressions are presented. All methods and models developed by the authors and described in the book are illustrated with examples from various fields of human activities. 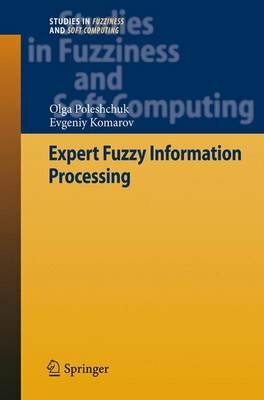 This book meant for scientists in the field of computer science, expert systems, artificial intelligence and decision making; and also for engineers, post-graduate students and students who study the fuzzy set theory and its applications.